Trying to put together spread sheets on the many backs of my NYA tobacco cards. I have T206 and T207 done. Working on the 202's !!! Do any board members know what T202 cards were printed (Highlanders) with what Factory backs ???? Black 649's seem to be the most printed. Are the red 30's limited printed ???? What about the the elusive black 30's, they are hard to find for what reason ???? All T202s have been documented with black Factory 649 and red Factory 30. 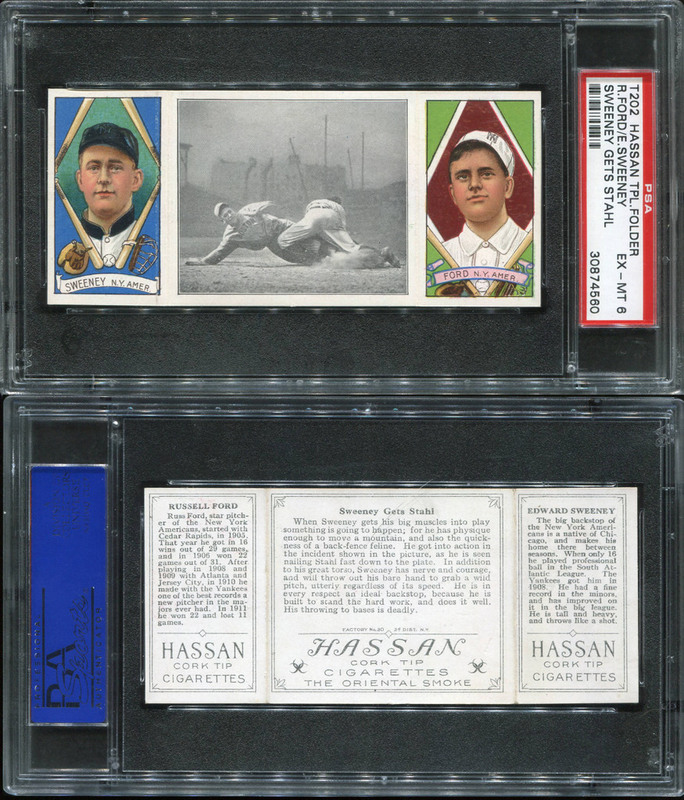 Lee Behrens has indicated in previous posts that he has documented over 40 of the 132 cards with black Factory 30 backs and assumes all cards will eventually be found with each of the three backs. Out of my 32 T202s, only two have black Factory 30 backs. I do not know of a reason why the black Factory 30s are so rare. Last edited by wondo; 01-12-2018 at 01:06 PM. The only one I kept is a Black Fact. 30 and and a NYA to boot. "The only one I kept is a Black Fact. 30 and and a NYA to boot." This happens to be the only one I have too ????? Last edited by garymc; 01-12-2018 at 04:08 PM. Photo of Hummel/Daubert T202 Black Factory 30 of mine. Nice to be aware of all the different backs.